​Discover on this site the properties corresponding to your real estate project in Mouriès in the Alpilles thanks to a wide choice of properties: from the top floor apartment, ground floor, to the villa with pool, from the city center to residential neighborhoods and surrounding villages. We will offer you a friendly welcome and will do everything to help you find the property of your dreams. Many owners trust us to sell their apartment or villa. Our estimates are made by our traders thanks to a perfect knowledge of the real estate market in the Alpilles. To buy, sell or rent, contact us for a personalized appointment. We will study together your real estate project. 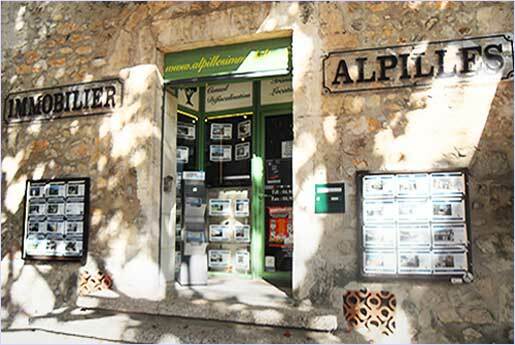 ALPILLES IMMOBILIER, established for more than 10 years in Mouriès, has for step to accompany you with confidence to buy or sell your property! Our real estate agency is the real estate specialist in MOURIÈS. The acquisition or sale of real estate can not be improvised. Our commercial, serious, dynamic and professional service aims to satisfy your expectations, whether they are to sell, buy or invest. Discover our regularly updated selection, from the studio, the 2-room apartment, 3 rooms and more, to the villa with pool. Our portfolio also includes shops and land for sale. Our geographic location will allow you to visit a wide range of apartments and villas in the Mouriès, Maussane-les-Alpilles and Paradou sectors. in the surrounding cities. We also offer a selection of prestigious properties and residences. Whether you entrust us with the sale or purchase of an exceptional property, we assure you confidentiality, availability and quality of services .